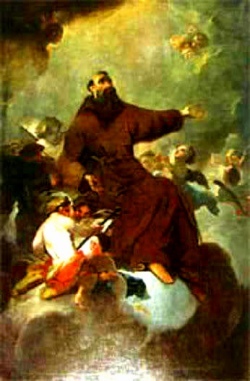 Saint Lawrence of Brindisi was one of the greatest ornaments of the Capuchin Order, and deserved well of both Church and State at the beginning of the 17th century. He was born at Brindisi in the kingdom of Naples in 1559. From his tenderest years Saint Lawrence of Brindisi evinced rare gifts of nature and grace. In remembrance of Jesus in the Temple at 12 years of age, a custom prevails in Italy at Christmas time permitting boys to preach in public. 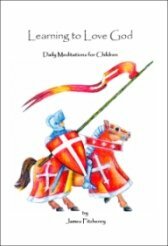 Lawrence was only six years old when he preached in the cathedral of his native town with such force and point that his audience was deeply affected and many entered upon a more Christian life. Saint Lawrence of Brindisi entered the Capuchin friary at Verona when he was only 16 years of age. He distinguished himself from the very beginning as a model of perfection. He was punctual at all the community exercises, perfect in his submission to superiors, and full of respect and charity towards his brethren. When his novitiate was over, Saint Lawrence of Brindisi continued to pursue his studies. He was very successful in the study of philosophy and theology, and acquired so thorough a command of foreign languages that he was able to preach in French, Spanish, German, Greek, and even in Hebrew. He ascribed his success not so much to his talents as to the special help he received from Mary, the Seat of Wisdom, whom he honored with tender devotion. With such accomplishments Father Lawrence started out on a highly fruitful missionary life. At first he visited the various cities in Italy; Venice, Pavia, Verona, Padua, Naples, where his labors were blessed with remarkable success. He was then called to Rome, where he was entrusted with the conversion of the Jews. His thorough knowledge of the Hebrew language won for him the esteem of the rabbis, and his gentle manner led many an Israelite to baptism. In 1598 Saint Lawrence of Brindisi was sent to Germany with eleven other friars to establish Capuchin convents there and to counteract the heresy of Luther, which was at that time gaining a foothold in Austria. Emperor Rudolph II entrusted to our saint the task of organizing a crusade against the Turks, who were threatening to invade the whole Christian Occident. Saint Lawrence of Brindisi, who loved seclusion, was now obliged to visit the principal cities of Germany to negotiate the cause with the princes, and preach it to the people. Due to his wisdom and holiness, which almighty God permitted him to manifest in astonishing ways, his efforts proved successful. While he was saying holy Mass in Munich in the chapel of the duke of Bavaria, our Lord appeared after the elevation in the form of a resplendent Child, who lovingly caressed the saint. Frequently Saint Lawrence of Brindisi was so affected during the celebration of holy Mass that he shed copious tears. Altar linens thus moistened with his tears were later used on the sick, and they were cured as were the faithful by the kerchiefs of St Paul. Saint Lawrence of Brindisi was made the chief chaplain of the powerful army of Archduke Matthias, which went to Hungary in 1601 to war against the Turks. Although quite crippled with rheumatism, he mounted his horse and, crucifix in hand, rode at the head of the troops to the battlefield. The first sight of the enemy was most discouraging, for their position was so favorable and their number so superior that the most stout-hearted officers despaired of victory. 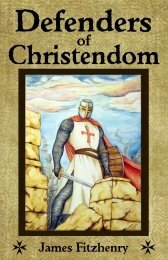 But in the name of the God of battles Saint Lawrence of Brindisi promised victory to the Christians and inspired them all with fiery courage. The enemy was completely routed. Lawrence now returned to Italy where he hoped he might again serve God in his beloved solitude. But the general chapter of the order elected him vicar general. He was obliged in obedience to accept this heavy burden. In this high office he proved a charitable and vigilant pastor to his brethren. When his term expired, the pope again sent him to Germany, this time on an errand of peace, to reconcile the Archduke Matthias with his brother, the emperor. Again he was successful. After Saint Lawrence of Brindisi returned to Italy, the kingdom of Naples, his native land, was in need of his services. This kingdom which at that time belonged to Phillip III of Spain, was governed by a viceroy who cruelly oppressed the people. The only hope lay in presenting the people's grievances to the king through Father Lawrence. 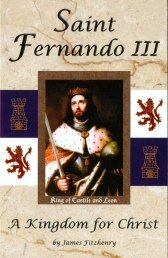 The latter sympathized with the people and journeyed to Spain, only to learn that the king was then in Portugal. So on he went to Lisbon, where he pleaded the people's cause and obtained the dismissal of the viceroy. This errand of charity cost Lawrence his life. Saint Lawrence of Brindisi fell very ill at Lisbon. He knew that his end was drawing near and told his companions so. After devoutly receiving the last sacraments, he fell into ecstasy, during which he went to the sweet embrace of his Lord on the feast of St Mary Magdalen, July 22, 1619. Pope Pius VI beatified him in 1783, and on December 8, 1881, Pope Leo XIII canonized him. In December 1958 Pope John XXIII signed a decree declaring St. Lawrence to be a Doctor of the Church.